← 18 Things FREE + Yours Truly on The Morning Blend!!! Whew! What a week! But before I tell you what I’ve been up to, I want to pay tribute to a very special lady who influenced me in a wonderful way. Many know that my main character in my trilogy, Olga Worontzoff, was named after my grandmother. She passed yesterday, but we rejoice. At 97, she had already buried a son & was ready to go & she went peacefully. As I do author school visits, I’ll be thinking of her as I discuss the fictional Olga, nowhere near as cool as the real one. R.I.P. GG. Thanks, friends. And now onto some happy news . 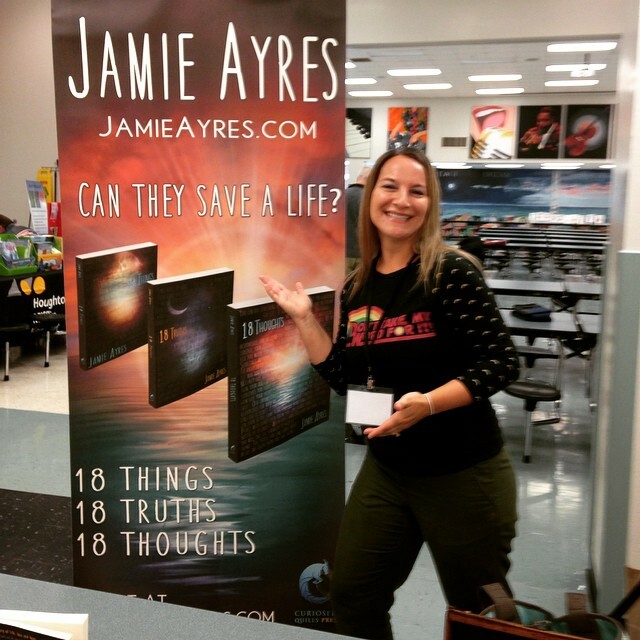 . .
Saturday I was a presenter and vendor at the Lee County Reading Council Conference, where people not only showed up to my class, but I sold out of books . . . like all of them! Check out my fancy new banner below that my publisher sent me (does that make me legit now?!). 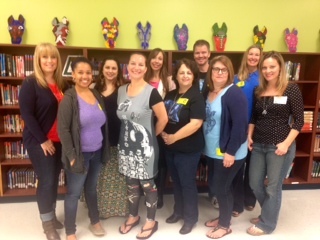 Then yesterday was the young adult author conference at my middle school. From left to right is Amy Christine Parker (Gated, Astray), Teshelle Combs (Core series, The System), Eliza Tilton (Broken Forest, Wicked Path), Me (in the SW dress & tights, duh! ), Krista Rausin (Mystic), Vivi Barnes (Olivia Twisted, Paper & Plastic), Jeff Strand (I Have A Bad Feeling About This), Trish Doller (Where the Stars Still Shine), Lynne Matson (NIL), & Christina Farley (Gilded & Silvern). 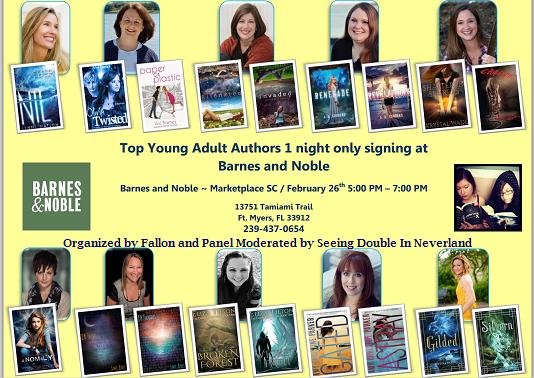 Today & tomorrow I’m at the Riverdale Literacy Festival, which includes a Barnes and Noble panel and signing with fourteen other YA Authors on Thursday night in Fort Myers. Thanks sooo much to Morgan and Fallon from Seeing Double In Neverland for putting this together!! Stop by if you’re local! *What have you been up to this week??? You’ve been a busy beaver! I’m so sorry. I bet God can count in Russian though. You have quite a week going on! Great events. Enjoy the future ones. I’m sorry that your grandmother passed. It’s wonderful that you named a main character after her. What a wonderful way to honor your grandmother! I bet she’ll always be your number one fan! Jamie … I am more than happy to shout-out for you on my FB page. I encourage all your readers to do the same. The best little “almost” buck you’ll spend. I wish I had known one of grandparents. Sadly, the last of them died only two weeks before I was born. 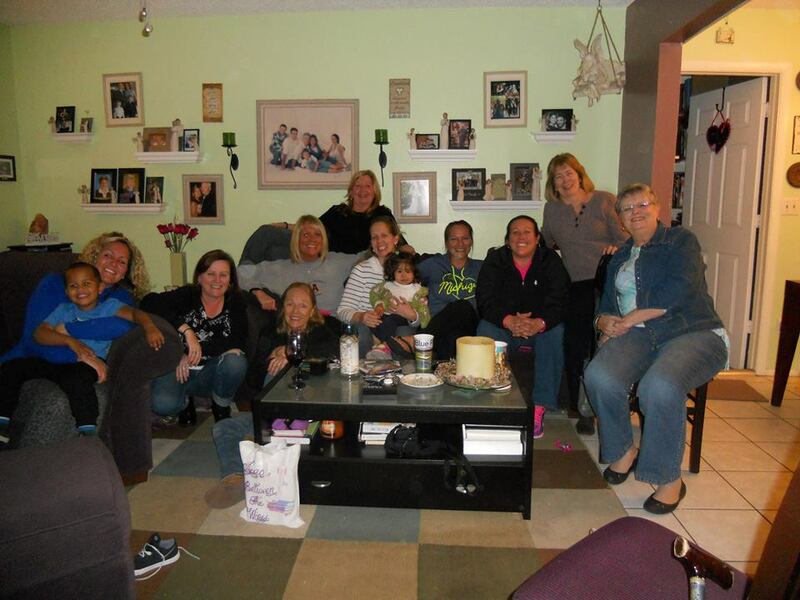 It is a true blessing to have them for a long time. I can only imagine how cool she must have been. You’ve got so much on, but it’s all so amazing… Just tweeted your sale too. I love your posts, Jamie. You’re such a go getter and so caring. What a fabulous family and memories you have, and what a wonderful way to remember your grandmother. So sorry to hear of your loss, Jamie. I bet she’s watching right now and so proud! My condolences on your loss. 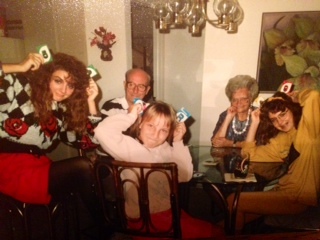 I lost my grandmother last April, and it still doesn’t seem quite real. I always loved the name Olga. It sounds really beautiful in Russian, since it has a rolled L. The soft sign which comes after the L in the Russian spelling causes it to be pronounced that way.